At Cleaner Paws we are always looking to provide the most helpful information and advice possible when it comes to grooming your dog. As you already know by now, there are many ways you can win the battle to keep your pet clean and healthy; this includes making bath time enjoyable for your dog as well as finding the best products to help you do so. This guide will focus on products designed specifically for use as a dog conditioner. On Cleaner Paws’ we review many 2 in 1 products, but for this guide, we are assuming you have already chosen a great dog shampoo, perfect for your pet and instead are looking to add to your grooming kit with a conditioner to top off their bath time. Why Use a Dog Conditioner? Why Use a Specially Formulated Dog Conditioner? We can list a number of critical reasons for using a product designed specifically to be used as a dog conditioner. Firstly, by using a product that has been manufactured to be used exclusively for dogs you know you are getting a product that will take care of your canine’s coat and skin. This is particularly important if you have a pet that has had previous skin related issues caused by products not intended for use on dogs. As discussed in other guides on Cleaner Paws it is not recommended to use human conditioner on your pet’s coat due to the PH level difference between us humans and dogs. This crucial difference means the best way to keep your dog safe while also ensuring their coat is left shiny and tangle free after bath time is find a conditioner that is perfect for your pup. Dog conditioners are specifically designed to for use on coats and skin types which fall within a PH level that is found only in dogs. Because this level of PH differs in humans, you may harm your pet by using a product not designed to be used on them. Do I Need To Use Conditioner on My Dog? 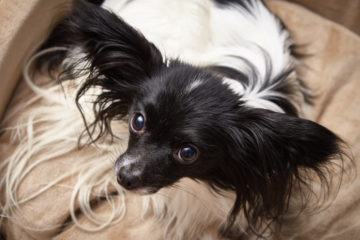 Now you hopefully understand why using a conditioner explicitly designed for your dog is essential it’s now time to explore why exactly you should be conditioning your dog’s hair in the first place. Asking whether or not you need to use a conditioner on your dog isn’t such a silly question. After all, if you are using a high-quality dog shampoo and already wash your dog regularly is it going to make that much difference to your dog’s coat if you condition it at the end of each bath? However, we do understand if there is some reluctance to conditioning your pet’s hair. We’re sure we aren’t alone in thinking that sometimes we can’t even be bothered to condition our hair! Add this to the fact that occasionally washing your pup can be an adventure in itself we do excuse you if you just forgot or even overlook to shampoo AND condition your dog’s coat. However, the fact you’ve read this far obviously means you’re invested in improving the state of your dog’s bath time experience and the quality of their coat, which a dog conditioner can definitely deliver. Most people dislike bathing their dog because let’s admit it, it’s a pain in the rear end. If not done correctly, by the end of the process you’re wetter than your dog, and the bathroom is left in a messy state that you then have to clean up as well. So for most, the idea of prolonging the bathing experience one-minute than is neccessarily is met with a thought of horror. 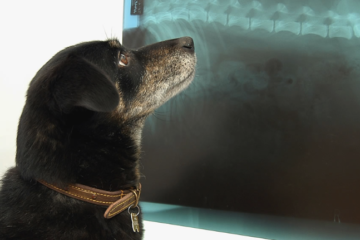 However, one or two extra minutes to condition your dog can improve your dog’s overall health and the condition (pun intended) of their coat and fur. Any pet owner will know the benefits of shampooing their dog’s coat all too well, not only does it remove unwanted dirt from your pet’s skin but it also leaves their coat smelling and looking great. If you are a new dog owner, you may ask the question why you need a dog conditioner. If this is the case, you may be interested to know that a dog conditioner rounds off a thorough wash.
A great shampoo will cleanse and remove any accumulated dirt while a conditioner will restore moisture that may have been removed during the shampoo process. 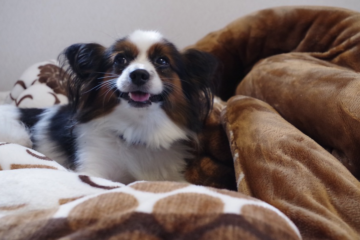 A good quality dog condition will also detangle your dog’s coat and leave it extra silky and smooth. These benefits mean choosing the best dog conditioner for your pet is vital to ensure no damage is done to your dog’s coat while being bathed. Instead you should choose a product that leaves your dog’s coat silky smooth with a perfect shine. Another significant advantage of a dog conditioner is that there are some downsides to shampooing your dog which are only addressed when you use a conditioner to counteract them. Now a number of these benefits are extremely important to not only help promote a healthy skin and coat for your dog but also in maintaining it. By helping to de-matte and detangle your dog’s coat a good quality dog conditioner will leave you only having to brush and groom your pet’s coat occasionally for ultimate perfection. If you have already read our ‘Best Shampoo Guide’ you will know that at Cleaner Paws we are big admirers of the Earthbath brand. 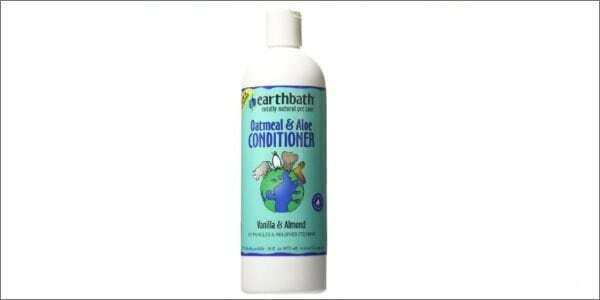 The affordable and reliable products throughout the EarthBath range all deliver high-quality results and their Oatmeal and Aloe Dog Conditioner is no different. This conditioner is a 100% natural product and completely soap-free making it gentle on your dog’s skin and coat. We noticed this ourselves every time we tried the conditioner, and you really can see the product detangling your dog’s coat while you use it. Not only does it detangle but it leaves your dog’s coat noticeable enriched and if you are looking for a product to add a silky finish after bath time then look no further as Earthbath have you covered. A product that is priced slightly lower than Earthbath this is another dog conditioner that delivers profoundly in quality. The one thing we did love about this conditioner is the fragrance. The jasmine and vanilla combine for a great smelling product that leaves your dog’s coat fresh and ready for cuddles, and more importantly, it is a scent that is long lasting so you won’t have to worry about having to wash your dog every other day. The fragrance along with the silky finish combine for a brilliant product that could easily have been our number 1 choice on this list. If this hasn’t sold the conditioner to you already the product is also straightforward to rinse meaning you won’t have to excessively scrub away at your dog’s coat trying to get rid of any lingering lotion. The second Isle of Dogs conditioning product to make our list, this one is an oatmeal conditioner making it perfect for treating irritations and ideal for all types of dogs with sensitive skin. The same as the above product, this conditioner contains Isle of Dog’s signature fragrance and is brilliant for fighting against smelly and odor affected dogs as we found out to be true when we tried the conditioner. As well as the smell being the same we also found this conditioner to be just as effective at detangling our dogs coat after using shampoo but the only reason we rated the other product higher was the silky finish. This conditioner lacked slightly in that department and left you feeling as if your dog’s coat isn’t quite as fresh as it could be. That shouldn’t take anything anyway from a tremendous all-around product, however, and if your dog has a skin condition you are looking to treat with a great conditioner, then this oatmeal product will make a solid choice. The first product on this list aimed at both cats and dogs this shouldn’t deter you from a great conditioner that will no doubt make the perfect fit for your dog. The product is extremely reasonably priced and is both soap and detergent free. This Tropiclean dog conditioner also contains natural ingredients that will both moisturize and leave your dog’s coat shiny fresh. In fact, the moisture that was added to the dog’s coats we trialed this conditioner on was one of the aspects of the product we were so impressed by. It is noticeable how fresh your dog’s coat and skin feel after using just a little bit of this product. This is another really great product and makes the perfect choice if you are grooming both cats and dogs as the conditioner works just as great on both. This product is unique in this list, being the first spray on conditioner featured and another oatmeal extract product that is great for dogs with irritated skin. If you do have a pet that is constantly itching, then the products you use during bath time are extremely important as they can help eradicate and prevent any skin conditions for your dog. This is the case with Nootie’s medicated oatmeal dog conditioner which we trialed with a small Labrador with itchy skin, and after quickly applying this spray on conditioner for several grooming sessions we noticed a considerable improvement, and it all but cleared up any itching. As the product name suggests, this is a medicated conditioner so maybe isn’t the perfect choice for pet owners that prefer entirely organic, natural products but this shouldn’t be overlooked by all. This is particularly true if you have tried other conditioners in the past to try to clear up any of your dog’s skin irritations and never had much luck. We were impressed enough to recommend it both here and to anyone who comes into our shop. However you shouldn’t just take our word for it, a quick browse through the reviews of other pet owners on Amazon will show what a great product this is, and we are sure you won’t be disappointed. So there you have our Cleaner Paws review of the Top 5 best dog conditioner products. We hope the list has provided a conditioner that suits your price range as well as the breed and size of your dog. If you do have any questions at all please leave a comment or get in contact directly. If you’re still looking for a great shampoo product to use alongside your chosen dog conditioner, check out our the best cheap dog shampoo reviews.